Choosing the right motorcycle transporter comes down to choosing the company you’re most comfortable with. You should choose your motorcycle transporter based on their reputation, insurance, and experience. Only once you verify transporters credentials should you start to compare motorcycle Transport quotes and service levels. There are enough, experienced motorcycle transport companies available in South Africa that you should have no problem finding one that fits your needs. Review your motorcycle transporter’s insurance coverage and liability. Carriers are required to have both liability and cargo insurance to legally transport your motorcycle. Request written proof of your carrier’s coverage before entering into a deal with them. Read the fine print, and make sure the coverage is appropriate for your transaction. Your personal motorcycle insurance will probably not cover your motorcycle in transport, but it’s a good idea to check in and ask what you are covered for in the transit process. 1. What are your pickup and delivery procedures? 2. Do you have any specific policies or procedures I should be aware of? 3. What are your payment and deposit procedures? Your decision is based on the Transporters ability to accommodate your time schedule, type of service they offer, insurance, price and credibility. Unless you are moving your motorcycle as freight through a carrier, you will not need to drain your fuel tank or remove the battery. 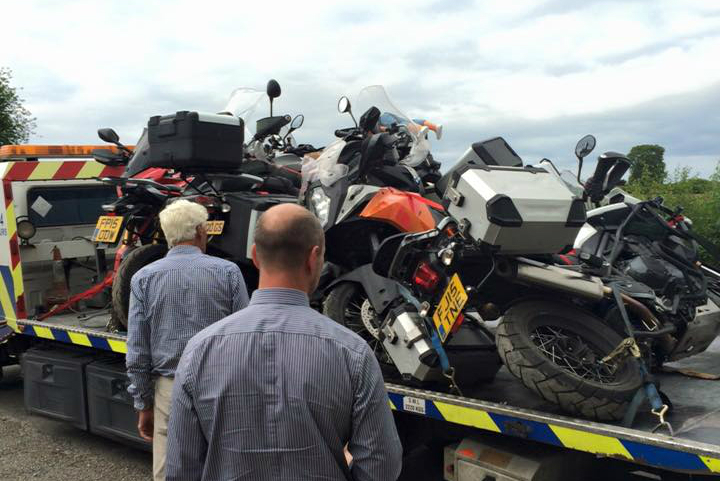 Your motorcycle does not need to be crated or packaged during the motorcycle transport service. 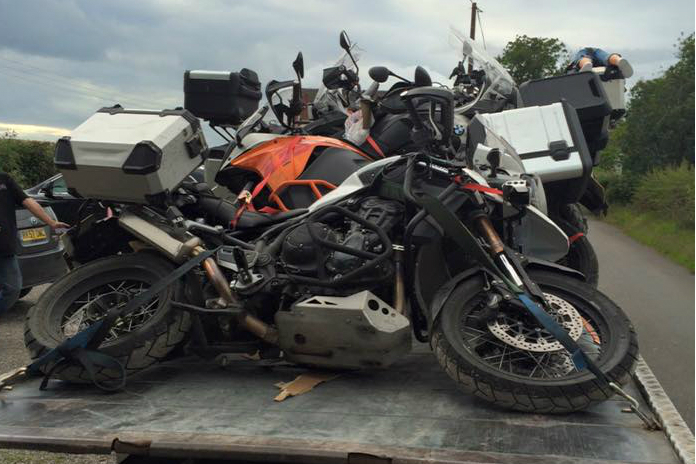 When shipping a motorcycle, it will not be covered by your personal policy. In order to protect against damage or loss, your motorcycle shipping company should offer a minimum amount of insurance. You can verify that the motorcycle shipping company offers this coverage by asking for a copy of their insurance certificate when they provide you with your motorcycle shipping quote. Will the motorcycle shipping company’s coverage be enough? What kinds of damage is protected? Will mechanical damage be covered? Are specialty items or accessories covered? If your motorcycle is especially valuable, you may want to purchase additional insurance coverage during transport. Most transport companies, will be able to provide this coverage or refer you to a third-party insurance company. Do not forget that even with insurance coverage, you will pay a deductible in the case of damage. You sure do not want anything like this. Damm!